Construction projects are challenging to manage and if you are trying to go it alone, such a task can quickly become overwhelming and completely consume all your time. Managing laborers, raw material requirements and work progression is not normally a task taken on by single untrained person. Many home and business owners go it alone anyway though with the hopes of saving some money. 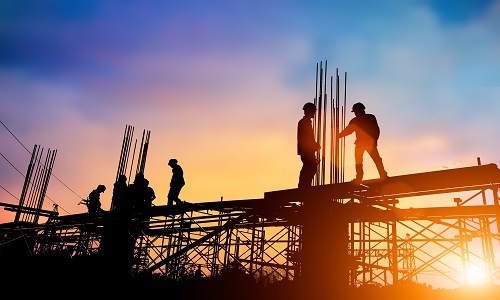 However, in the long run, they end up spending more money than expected due to poor planning and lack of proper connections to suppliers, contractors and materials. If you are planning to construct something in Cameron Park, consider hiring a firm like Monster Contractor that offers construction management services. The construction management services offered by Monster Contractor are the best. We provide a full spectrum of services in construction management and project oversight in order to support your Cameron Park project development. Our construction management staff have consistently managed renovation and conversion endeavors for standing buildings throughout Northern California. Our services are flexible enough to accommodate any kind of project, whether residential or commercial. There are no fixed rules. You can choose to pick up where you became overwhelmed and integrate our construction management staff with your existing trusted professionals, or you can ask us to supervise the subcontractor and specialist selection process. From developing plans and securing contracts to conducting interviews and following up on performance, our Cameron Park construction management professionals can help take the burden off your shoulders. Monster Contractor Construction Management can conduct pre-construction meetings, keep everyone focused on bother the big picture and the details, and maintain the pace toward reaching milestones. We help our clients reduce costs without reducing quality. Our construction management supervisor provides daily oversight for the budget and in the field, completing punch lists and administering on-going quality control for Cameron Park homeowner and business owner’s construction needs. Monster Contractor’s Construction Management expert will present you with a detailed proposal of costs so that every dollar and every service provided can be accounted for accurately. Our management staff delivers effective costs savings by being efficient with our crew’s time and with your money. We have access to suppliers to purchase materials in advance and adjust labor schedules according to delivery dates. Our construction management experts regularly check the weather forecast to avoid any disruptive surprises prior to the development step, shrinking delays during construction and reducing additional expenses. We try our best to keep everything moving smoothly. Monster Construction promises detailed and efficient delivery of service in every manner. 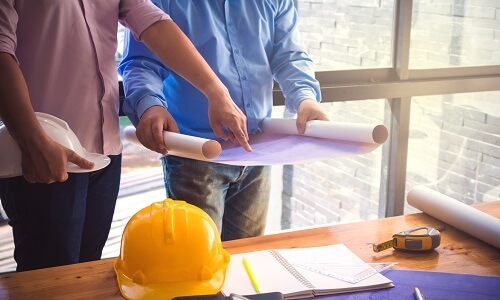 When our construction managers are implementing small and large capital improvement projects, our management team coordinates with the building staff and property managers to make sure the work is done in harmony with tenants and business productivity. We want to keep the building’s existing tenancy happy and disrupted as little as possible throughout the project. Our Cameron Park construction management staff will remind you to issue tenant/landlord/work notices, so that you stay in compliance as well. Our Construction managers monitor your retail tenant/commercial construction in Cameron Park until it is complete. Monster Contractor has a long history of offering the best quality construction management for Cameron Park, CA. Every member of our team is seasoned, if not an expert in his own field and possesses the expertise to help our clients in the best possible way. Managing construction safety: making sure the project complies with OSHA and all other safety requirements. Monster Contractor is proud of our service and many Cameron Park business owners in the city endorse us. They select Monster Contractor construction management based on our reputation, professional experience, technical expertise, and value that we offer. Our construction management service helps the architect and owner participate in choosing subcontractors based on preference and price and qualifications. We verify their credentials in advance. This helps fulfill the needs of our clients without risking service quality or protection. You can rest assured that the management process will go smoothly. We have developed a foolproof approach to delivering services that give extra attention to the vulnerable aspects of managing your project. Cameron Park Monster Contractor construction managers employ proactive procedures that are designed to lower future project costs over the life of your building. Our construction management fee is presented to be easily understood by you and is fixed into the scope, based on the total construction value of your project. Monster Contractor construction management completes your project through careful budgeting of time and materials, ensuring the quality of work, feasibility of construction and design, and adhering to the timeline. We use online management tools (Construction Project Management, or CPM) for overall coordination, planning, and control of your project from beginning to end. CPM enables us to meet our client’s requirement and produce a functionally and financially viable project. The construction industry is composed of five sectors: residential, commercial, heavy civil, industrial, and environmental. A construction manager holds the same responsibilities and completes the same processes in each sector. 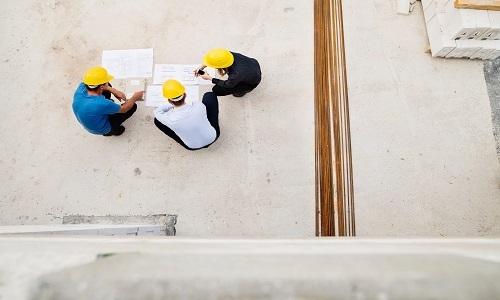 The only thing separating a construction manager in one sector from one in another is their knowledge of the construction site and the scope common to that type of project. This may include different types of equipment, materials, subcontractors, and possible locations. For Monster Contractor, safety is another priority above everything else. We will not use any equipment or tools whose use may result in damage to your property or injury to our employee. All tools that we use are manufactured by reliable companies and we have a dedicated team of employees who test tools at regular intervals. When we need to rent heavy machinery or large equipment, we only rent from long-standing companies that we trust for maintenance and upkeep of their equipment. Monster Contractor is a full-service General Contractor and Construction Company located in Cameron Park. We provide our industrial, commercial & residential clients with premier service and quality assistance throughout the greater Cameron Park area. We work hard to provide what seems to have been lacking in recent years: a contractor who wants to provide quality service at a fair price. As a result, many of our clients call us back year after year. Monster Contractor of Cameron Park is a fully licensed and insured construction company. Whether you need commercial, industrial or residential construction, we'll have our best journeymen on the project. We have over 50 years combined experience in the commercial construction and industrial construction industries. Our Property Maintenance experience, like electrical, plumbing, gutter cleaning, etc. will keep help your Cameron Park facility running smoothly. Commercial Tenant Improvement in Cameron Park is easy with us. Apartment building and property owners have trusted us for years to improve the lives of their tenants. From small projects to new builds, we have managed all types of Construction Management projects in and around Cameron Park, California. Retirement homes, government offices and apartment buildings are just some of the Facility Maintenance services we offer. We work directly with YGRENE and HERO on Green Building Construction and can be your ally on energy-proofing your property in Cameron Park. We have the best solutions for all aspects of home remodeling and Residential Construction in Cameron Park. Are you doing a Cameron Park Home Remodel? Room Addition? Kitchen Remodel? Whether it’s a bathroom remodel or complete or partial remodel, we can simplify your remodeling needs. Call Monsters Concrete for a complete estimate to repair foundations and other concrete products. We even have Home Maintenance and home cleaning solutions and can make ourselves available for the smallest detail. Earthquake Damage Restoration and retrofit as well as Fire Damage Restoration mitigation can be expensive if you’re not familiar with restoration in Cameron Park. Insurance Restoration and working with insurance companies is difficult. Let our experience simplify the process. Storm Damage Restoration can happen at any time of year. We offer services for each season. Water Damage Restoration from leaks can destroy your home. Fast comprehensive repair from Monsters Roofing is the best solution.